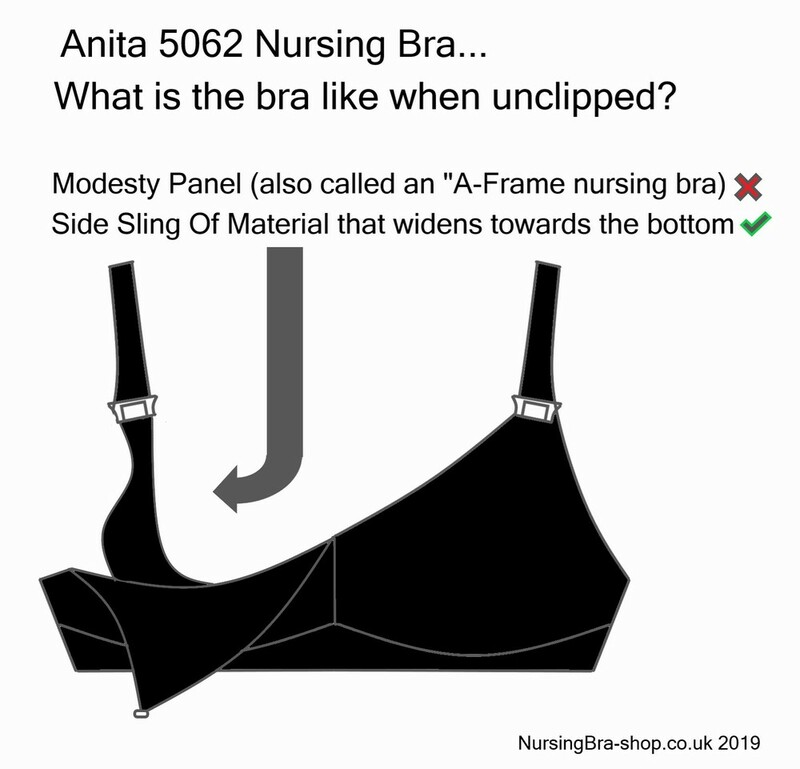 The 5062 black nursing bra is Anita's best selling black nursing bra and with good reason. For example, if you are worried that you might suffer from sensitive breasts during your nursing months then choose the 5062. It has elastic moulded seamless cups which you will find really comfortable. Is support important to you? Well the 5062 is really supportive and will give you a really firm hold as well as good all-round breast support and will keep you in place which you are actually breastfeeding. How about the cups? They are a bit thicker and not so stretchy which means that they give the maximum support, a feature many of our customers love. A lovely finishing touch to this bra is the lace on the outside edges which looks really pretty and what's more does a great job of pulling in the fuller sides of this breastfeeding bra. When you actually feed you baby and it's time to open the bra, you will really appreciate how easy this is thanks to the Anita Kwik Klip which allows you to use just one hand to drop the cups. All you have to do is just slip your thumb into the little pocket on the strap fastener and then just raise your thumb and with one kwik klip, the bra is open! We recommend that you wash this bra in cold water and then dry it on the line. Why should you choose the black 5062 nursing bra? Well, it is our best selling Anita bra, is really supportive and you will also find it very comfortable.